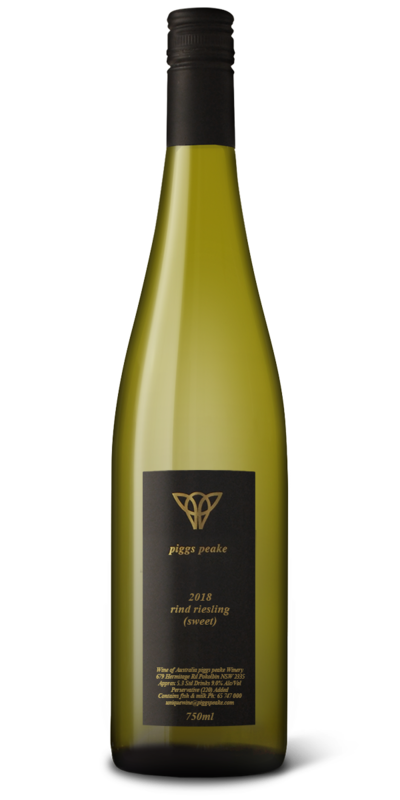 This is the Riesling style that Piggs Peake fans have seen many times before. The high altitude site we use (just at 1000M above sea level) produces grapes with screamingly high acid levels and an intense lemon/lime character. This ideally suits the production of an off dry style. This Riesling is definitely sweet, but I always put it in the dry white section because I want people to experiment with matching this wine to food that has a lot of spice and chilli. It’s the perfect accompaniment to a dish like salt and pepper squid or chilli crab.